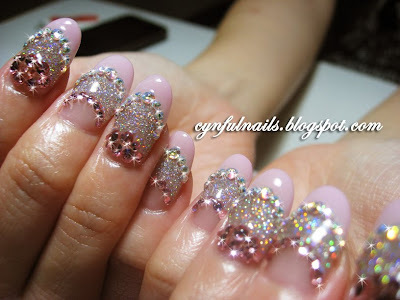 Cynful Nails: Pink and glitzy. Oh my GOD! Im crazy here with your nail designs! So creative, so well done and so gorgeous! Its just a pity I do live in Sao Paulo, Brazil, and I cant beautify my nails with you! Congratulations on this beautiful work you do!